We all know the Des Moines Farmers’ Market is the best in the U.S. Here are a few things even a seasoned farmers’ market visitor might not know. Nearly 300 vendors from over 50 Iowa counties. From food to flowers to locally made crafts, the Des Moines Farmers Market represents all the best that Iowa has to offer. Between its bike-friendly streets and healthy produce, it’ll help you build your own healthy lifestyle. The Des Moines Bicycle Collective offers a free, safe, and secure bike valet for riders. It spans 9 city blocks so there’s sure to be something for everyone. These blocks are filled with foods, local artists, live music and entertainment, and special programming. There’s actually a Winter Farmer’s Market that can be found at Kaleidoscope at the Hub and Capitol Square. The Winter Farmers’ Market offers more than 130 vendors selling a variety of locally raised products, including eggs, beef, pork, duck, turkey, holiday ham, and late season and greenhouse produce. 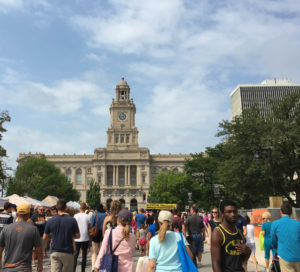 According to various travel sites and travel books about Iowa, the Des Moines Farmers’ Market is second only to the Iowa State Fair on the best thing to visit in Iowa. Top rated travel sites like Trip Advisor and Midwest Living have listed the Farmers’ Market as at top best destination in Iowa for years. Subscribers receive a text each Friday afternoon during market season with vendor deals for the following day. They earned this title by The Daily Meal for the two consecutive years, 2013 and 2014. 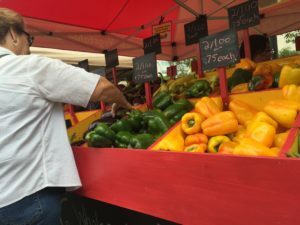 The Des Moines Farmers’ Market has also been named “#2 of the Top 10 Farmers Markets in the U.S.” by Shape Magazine, “One of America’s Best Farmers’ Markets” by Midwest Living Magazine, “Best in the Midwest” by Country Living Magazine, and more. 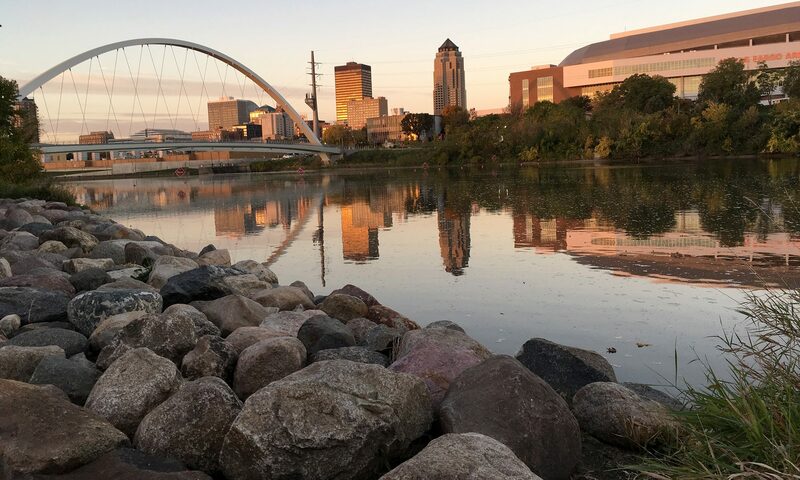 What’s your favorite part about the Des Moines Farmers Market? Not only are the vendors wonderful–there is entertainment which I really enjoy.